Mercure Hoi An is located a short drive from Danang International Airport, between Hoi An ancient town and beach. 4-star colonial style hotel with 116 guest rooms including poolside suite rooms. 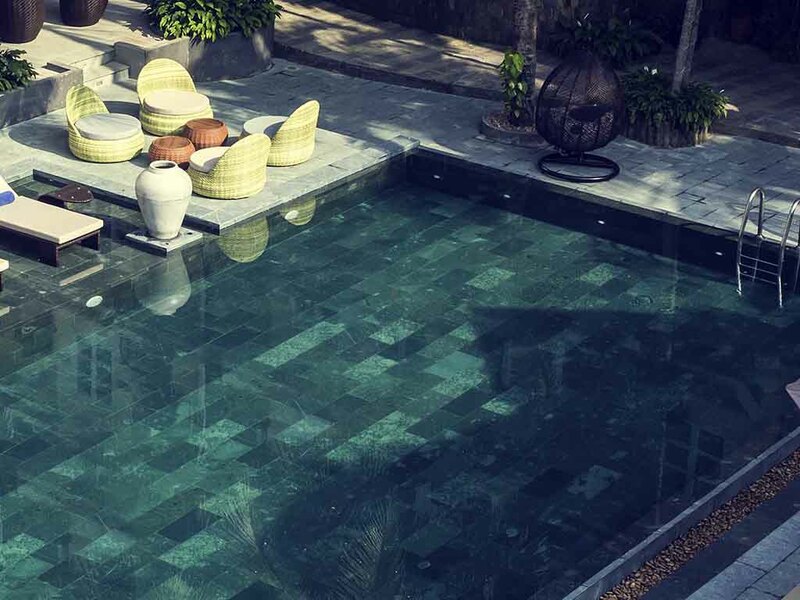 A tropical touch of Asian fixtures and fittings of hotel designs combine with a modern restaurant, fitness & spa facilities and a charming swimming pool. There is panoramic views of Hoi An city, the surrounding countryside and distant island & mountains. Whether you are a history enthusiast or a leisure seeker, Mercure Hoi An Royal boasts the best of both worlds. Located between the old quarter and beaches, Mercure Hoi An Royal is an ideal destination with major attractions close by. Relax in our lobby bar, whilst sipping a cocktail or Vietnamese Iced Coffee and watching the world go by. The perfect place to relive your day's adventures over a nightcap.